Are you bored of your bathroom? Call BST Bathrooms now for the best bathroom design in Southampton. We have over 20 years of experience that is unmatched by other companies. Bathroom size will not be an issue for our expert team. We will listen to your requests and come up with an appropriate design. At BST Bathrooms, we provide the best bathroom design in Southampton. A new bathroom is not out of reach for your home. Our company offers fantastic designs at prices that every homeowner can afford. You can have us revamp your whole bathroom and create a space that is truly unique. Alternatively, we provide upgrades for facilities such as showers for modern equivalents. Many homeowners often forget a bathroom is being used on a daily basis. After a long day of work, there’s nothing better than coming home to a warm bath in your new bathroom. You will be able to unwind and forget about all of life’s worries. If you are a morning person, then we will incorporate power showers to revitalise your morning routine. Do you have a particular idea or design in mind? Then let our team know, and we will help your vision come true. Choose your new suite, sink, accessories and more then let us know and we will put it all together. We are your one-stop company for your Southampton bathroom design needs. We also specialise in tiling for bathrooms with materials such as marble, granite and many more. As part of our bathroom design in Southampton service, we design and install wet rooms. These are bathrooms where the shower is level with the floor. Wet rooms are ideal if you need access to washing facilities. We supply a range of flooring options such as a non-slip floor, level access tray and a tiled floor. All wet rooms will be sealed professionally, and there will be no leakages. Shower rooms are the way forward for homeowners. If space is limited then our bathroom design Southampton will help maximise space in your bathroom. A dedicated shower room provides the homeowner many benefits. Showers use less water than baths and offer a cleaner way to wash. We tailor all shower rooms to complement the space in your bathroom. 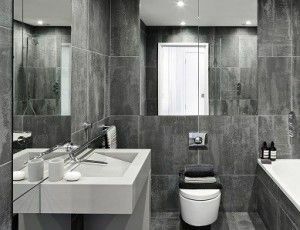 At BST Bathrooms, we have years of experience in supplying the best bathroom design in Southampton. When you choose our company, you can be assured that we will provide a complete service from start-to-finish. Once you are happy with the design provided, the team will start work according to the previously-agreed schedules. Every Southampton bathroom design will be tailored to you and your needs. We provide free quotes for every design with no obligation to use our company. The team invite you to contribute ideas and tell us what you want out of your new bathroom. If you are not sure about something, then do let us know – we won’t be offended! We will work hard to tailor our services to your Southampton bathroom design requirements. Space is not an issue for our team as we have experience in renovating all size bathrooms. If space is an issue, we will create a spacious design for even the boxiest of bathrooms. 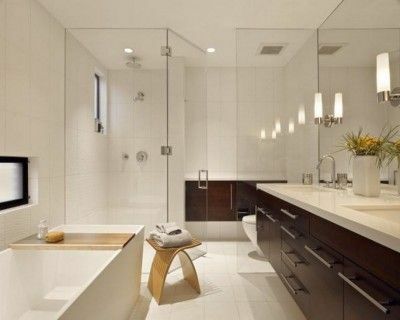 Likewise, if you have a large bathroom, our designs will maximise all space. 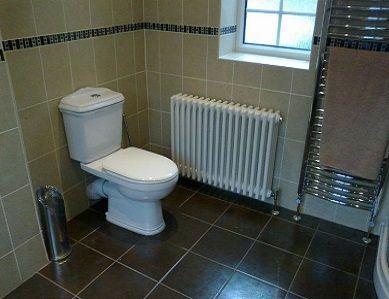 Don’t let that lacklustre bathroom let your home down, we are only one phone call away. Fantastic service from Barry and his team. They took a box bathroom and converted it into a shower room. I was very impressed with their work. Call us now on 023 8045 3112 for a fantastic bathroom design in Southampton service.